USA chapter of Bodhi Shrawan Dharma Sangha (BSDS USA) was established on July 20, 2011 in California with the blessing of Maha Sambodhi Dharma Sangha Guru. 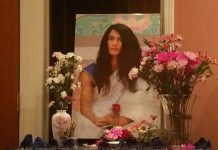 Whilst the Maitri Sangha is strengthening, learning and growing, this BSDS USA website will serve as the main resource unifying all the the International Maitri Community. Let’s make this world a world of Dharma! May all beings be lovingly peaceful!